When you are faced with a disaster, you want people you can trust working with you. Let Express Emergency Services be there for you. 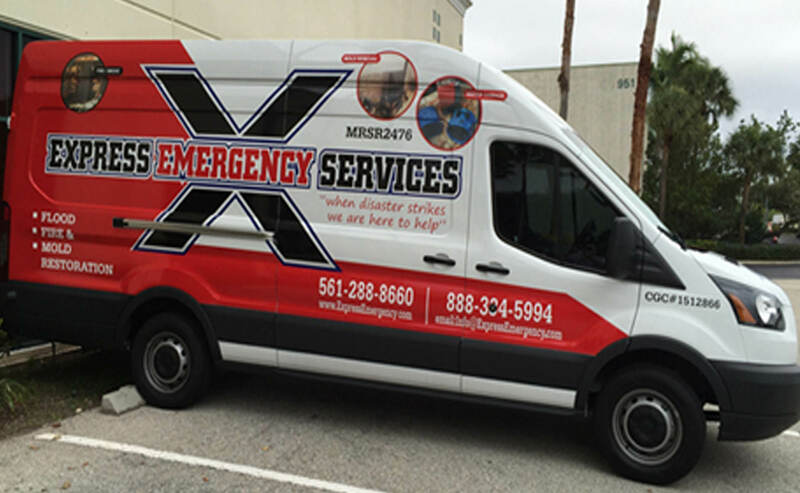 We have a wealth of experience in dealing with flood, fire, mold remediation and restoration. Every day we deal with large and small disasters. Our project managers and technicians are trained and certified to treat flood, fire, mold or trauma damages. They are able to make rapid but accurate assessments to employ the best methods for cleaning up after floods or fires. When it comes to mold or trauma remediation we use the latest high-tech sanitization and remediation treatments. As licensed Florida General Contractors, we are able to handle every phase of your restoration project to ensure we restore your home or business to its original state. The greatest value we offer is our expertise – both in managing your claim with your insurance company and in obtaining necessary permits and certificates with your city and county. Our number one goal is to make the whole process of restoring your home or business as hassle free and pain free as possible for you.